Sandy gold, palm fronds, and striking geometric prints make up a Kate Aspen Tropical Chic Personalized Directional Sign! 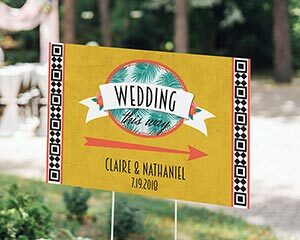 Perfect for that tropical or beach wedding, the Personalized Directional Sign points guests to your wedding or reception with a bright coral colored arrow above your personalized names and event date. 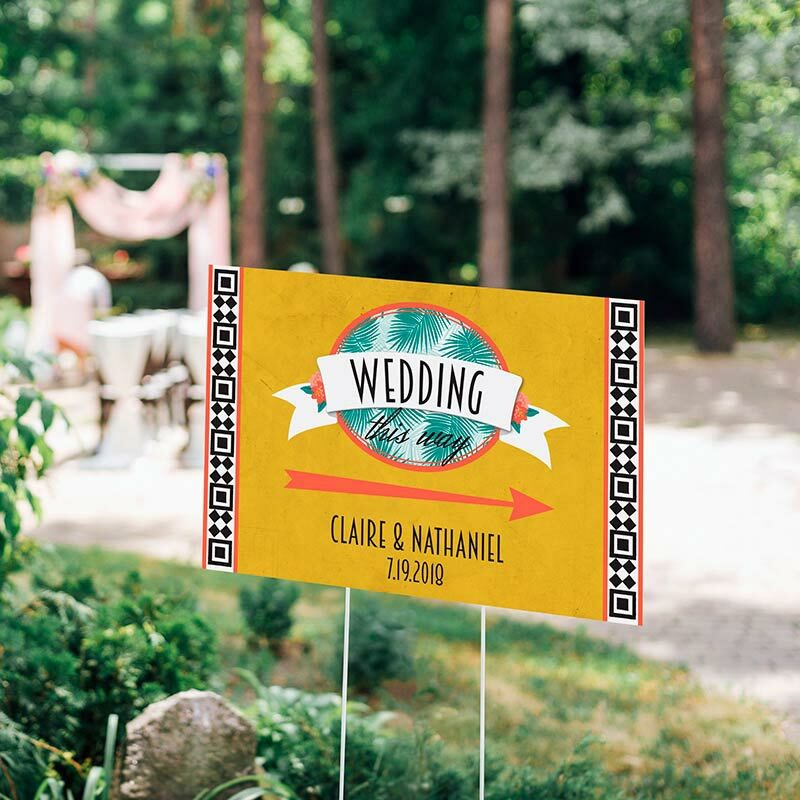 The beach wedding sign attaches to soft ground or soft sand using an included wire stand!